Burlington VT Real Estate | Condos Land & Homes for Sale Burlington VT is the focal point of the downtown commercial area. This pedestrian mall is lined with shops, restaurants and cafes, department stores, Burlington Square Mall, and Miller’s Landmark. On mild days, one can sit at a sidewalk café and enjoy the passing scene. The Flynn Theatre for the Performing Arts, a restored art deco theatre located in the Center of Downtown Burlington, is recognized as one of New England’s finest performing centers. It offers the community a range of world class dance, jazz, and theater events. The University of Vermont’s Robert Hull Fleming Museum provides outstanding traveling and permanent exhibits on UVM’s main campus. The Lane Series presents classical and contemporary music, theatre, and dance to the UVM and Burlington communities. When it comes to cultural festivals, Burlington’s Vermont Festival Campaign has developed some very successful festivals with the Discover Jazz Festival and the Arts Alive Festival of Fine Arts. Other outstanding festivals include the Vermont International Film Festival, Vermont Symphony Orchestra Summer Festival, the Winter Blues Festival, and Burlington’s Summer Theatre Festival. Click here to read about more arts, festivals & culture in Vermont! 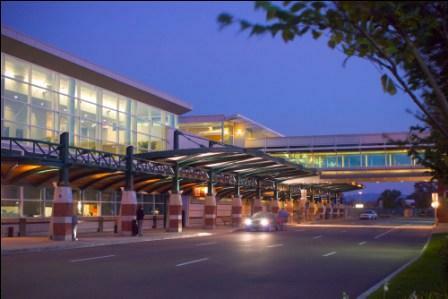 Burlington International Airport, just three miles from downtown, handles over 375,000 passengers yearly making it the third busiest in New England. Several airlines provide direct service and international connection to and from major cities. Interstate 89 is a tool free highway between Boston and Montreal. Route 7, a major north/south artery, links western Vermont with Massachusetts and Quebec. Route 2 bisects Vermont westward to New York State and eastward to New Hampshire and Maine. Public transportation is centered in downtown Burlington with fourteen inter-city and local bus routes connecting Burlington and the surrounding communities. Burlington has the distinction of being voted one of America’s most livable cities by the National Conference of Mayors. In addition, Burlington has been rated one of the safest cities in America!